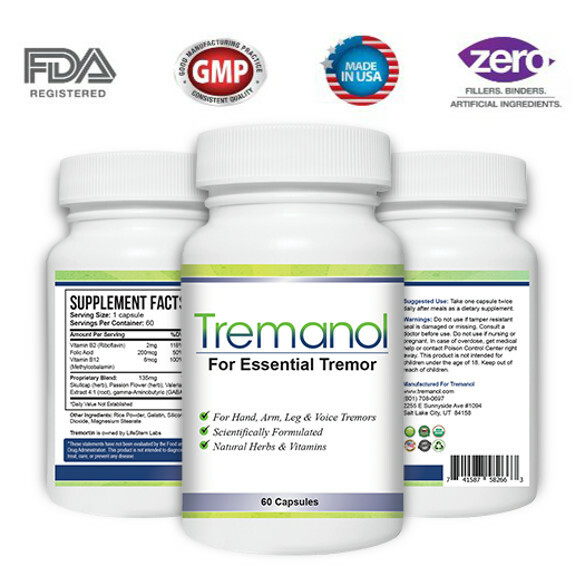 Now you can subscribe and receive Tremanol, the World's Most Popular All Natural Essential Tremor Supplement. Get started today and we'll deliver our most sought after tremor relief right to your door each month. Our best selling supplement for tremor relief is now available by subscription. Become a priority subscriber and save time not having to re-order each month. Designed to provide you with fast acting relief to help soothe your tremors now. Plus, long-term tremor relief from an all natural formula which promotes an all around healthy nervous system. Why Should You Join Tremanol Club for Tremor Relief? Why Should You Try Tremanol? Tremors can cripple your ability to live a normal life. Just the thought of leaving the house, and the embarrassment you feel from people stopping and staring can make you want to stay at home. Tremanol Can Give You Relief. Tremanol is an all-natural formulation we specifically designed to help give you relief from the symptoms of Essential Tremor. That's right! If you now suffer from tremors, then Tremanol helps with both fast acting relief, as well as provides you with long-term benefits. What is the Tremanol Club? We created the Tremanol Club to save you time and money with finding true relief from your tremors. First, when you subscribe, we add you to our priority customers club. This means your order is reserved and will always arrive on time. Second, subscribing to our club means that our most sought after tremor relief formula is always there for you when you need relief. Click the green Get Started button. 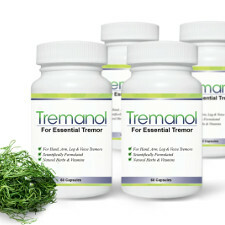 You receive our all natural herbal tremor relief supplement, Tremanol. Each month, Tremanol arrives at your doorstep, providing you with lasting relief from your tremors. Customers have seen results in days or weeks, but best results are generally achieved over the long-term. This is exactly why our monthly club for tremor sufferers make so much sense. Because we want you to find the relief you are looking for! Many Tremanol customers have experienced long-term relief. However, your results may vary. He is very happy with it and we will be ordering again. Got this for my husband who has been shaking for years. It took about a week to start showing any results but we have noticed a an improvement. So glad to have tried Tremanol! I am so glad that I got the opportunity to try Tremanol! I never knew there was a product out there like this, especially one that is all natural! Amazing! Relief at last! This product is amazing. I noticed a difference a lot sooner than I thought I would, but after taking it for a while I can truly say that my tremors have gotten so much better. I used to get anxiety about going out, because tremors can be embarrassing, Right?! But now I feel confident and am really enjoying this new found freedom. I want to shout it from the roof tops, my love for Tremanol!